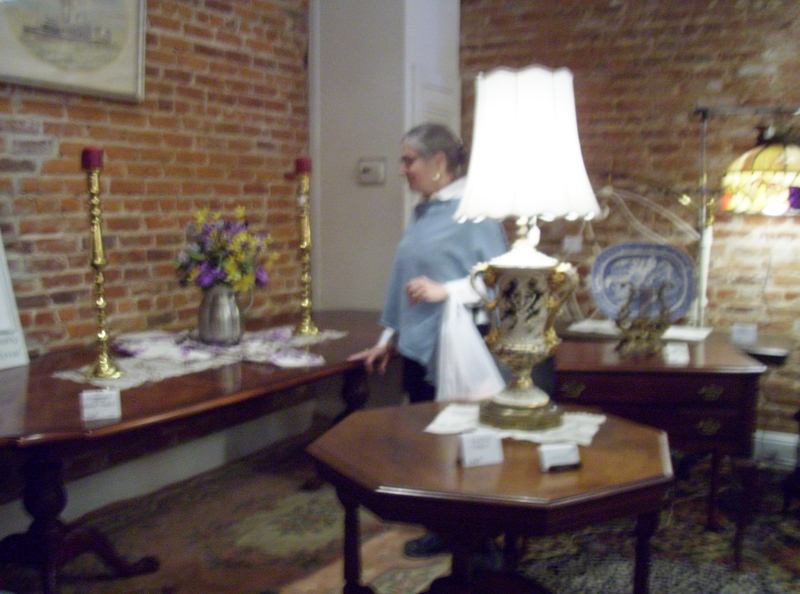 For over 50 years, the Jackson Assembly has sponsored the annual Jackson Assembly Antiques and Art Show. The 54th show will be held on March 29, 30, and 31, 2019 in the picturesque little town of Jackson, Louisiana. The Assembly invites visitors to browse through fine antiques and incredibly varied collectibles assembled by select dealers from seven states, all fittingly displayed in two historic buildings salvaged with proceeds from past shows. Preservationists and history buffs will enjoy a self guided tour of the Historic District and visiting the interiors of three historic churches and the original 1820 Courthouse of the Felicianas. The exteriors of many Greek Revival structures can be viewed from the sidewalk. After enjoying fascinating exhibits filling the vintage buildings, visitors can feast on homemade soups and steaming seafood gumbo, sandwiches and delectable desserts prepared by Feliciana’s finest cooks served in the 1835 McKowen Store’s basement. An art exhibit and sale by regional artists will be held all three days in the McKowen Store, next door to the Antiques Show.$10 admission includes the Antiques Show, Art Show, good for all three days, all events.